Here’s the latest on DVC Membership Magic – plus the all the updates on news, weather, and closings this week at WDW. 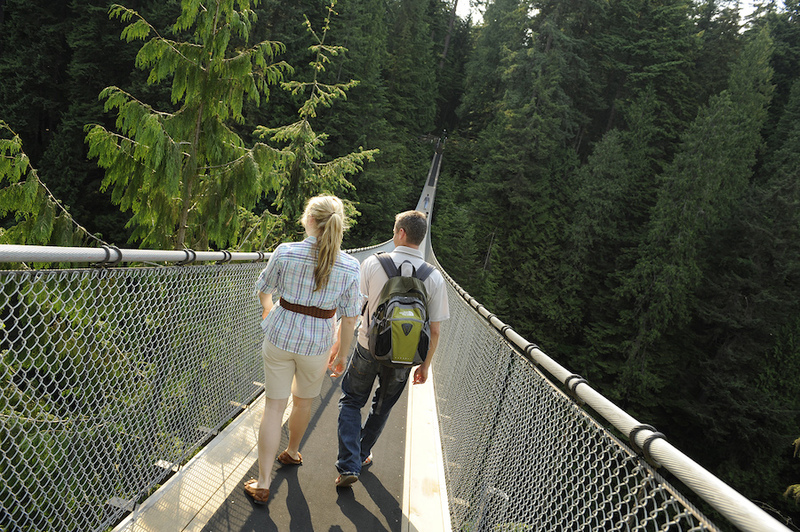 In 2019, Adventures by Disney will offer a brand-new Short Escape itinerary in Vancouver, Canada. Image Courtesy of Disney. DVC members have new Membership Magic to look forward to through Short Escapes with Adventures by Disney. Beginning September 18th, members can call guest services to book short trips to places like Boston, San Francisco, and New York. These are short 2-4-night itineraries with all of the charm and service offered by Adventures by Disney. If you book by November 16th, Disney will throw in a one-night hotel stay before the start of the adventure! You must mention the free hotel stay for your Short Escape that’s booked from January 1st through December 10, 2019. This is also a great add-on feature, especially if you are going on the October 2019 Member Cruise to Bermuda from New York! Be sure to book your Short Escape on September 18th since booking opens to the general public on September 20th. Food & Wine Tailgate Tasting Hosted by ESPNâs Monday Night Football. Image Courtesy of Disney. Calling all football fans! 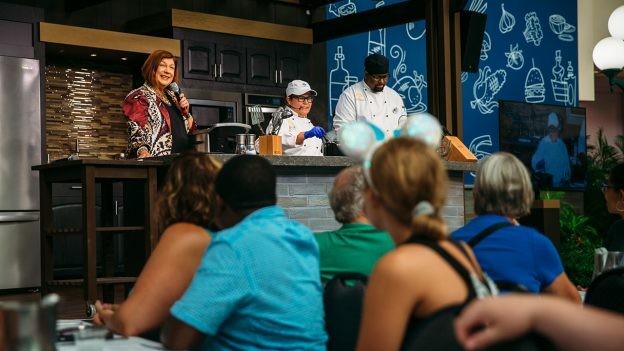 Combine the delicious taste of Epcot International Food & Wine Festival and your favorite tailgating types of food! On select Monday’s throughout the festival, Food & Wine Tailgate Tasting, hosted by ESPN’s Monday Night Football, will pair three food samples with three beverages, all inspired by the cities playing in the game that week. Wristbands can be acquired at 9 AM at the Festival Center for that day’s tasting and the seminar is complimentary. Who’s ready for some food and football? Beginning October 5th, you will be able to get a sneak peek at a portion of the upcoming Disney film “The Nutcracker and the Four Realms” in Walt Disney Presents at Disney’s Hollywood Studios. The movie centers around Clara who is missing her mother during the holidays and somehow ends up in a secret world created by her mother. The mysterious world is surrounded by characters such as a gang of mice, a soldier named Phillip, and the evil Mother Ginger who is trying to take over and destroy the kingdom. The film is due to arrive in theaters on November 2, 2018. 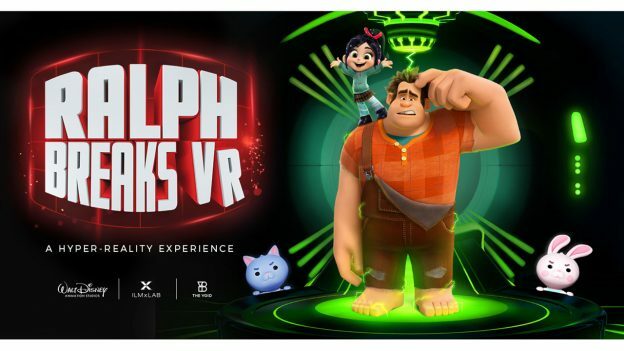 Ralph is coming to Disney Springs in a new VR experience! Image Courtesy of Disney. It seems like Disney was test driving the world of Virtual Reality when they opened Star Wars: Secrets of the Empire by The VOID in Disney Springs. Coming this fall Ralph Breaks VR is a new Virtual Reality experience that will be based off of the upcoming film “Ralph Breaks the Internet.” With this new experience you will have the chance to enter the world of online gaming when you join Ralph and Venellope on an unforgettable adventure. Apparently, this is only the beginning. Plans are already in the works for Disney fans to enter other universes where they will be able to engage with favorite characters and stories. A blurb on The VOID’s website hints towards the possibility of an unnamed Marvel movie and “Frozen 2” being a future experience. Liberty Square Riverboat is undergoing refurbishment until an undisclosed me. Disney Junior Live on Stage closed September 2 in prepare on for a new show, Disney Junior Dance Party! Ferrytale Fireworks: A Sparkling Dessert Cruise will be closed through October 20, 2018. World of Disney in Disney Springs is being reimagined. A grand reopening will take place this fall. Disney’s All-Star Movies Resort will be under a room refurbishment until some me in 2019.
are available during this me. Disney’s Old Key West Resort is in the middle of room refurbishments until Spring 2019. The Pepper Market at Disney’s Coronado Springs Resort will be closed for refurbishment through summer of 2019. The Quick-Service restaurant will remain open. A small part of Stormalong Bay Pool at Disney’s Beach Club Resort will be closed until the fall to make room for new cabanas. The rest of the pool area will remain open during this me. Star Wars: Galaxy’s Edge is currently under construc on at Disney’s Hollywood Studios with an expected opening in late fall 2019.